Meeting the eligibility requirements of the Poor Laws was not easy in pre-1935 America. For an amazingly long three hundred years prior to the passage of the Social Security Act of 1935, the only aid available to people who were poor, elderly, disabled, widowed, orphaned or otherwise in need came from local authorities who administered the “Poor Laws,” laws which came to the United States with English settlers in the 1620s. Whether you were a once-prosperous man who was hurt in an accident or a poor woman who had an illegitimate child, you needed to go to your town or city’s Overseers of the Poor, who would judge whether you were “deserving” or “worthy” enough to secure some minimal aid. They also examined whether you were a person deemed “settled” in the particular town or city. Overseers of the Poor were local officials, like selectman or freeholders, who usually knew little or nothing of poverty but came from the middle or even upper classes. Some no doubt were compassionate, some not so much. Meeting the eligibility requirements of the Poor Laws was not easy. Widows or elderly who were well known in a town were often granted small amounts of aid at home, usually food or fuel, but many people, particularly unemployed men who looked able to work (including many we today would see as mentally disabled) and women who were judged as immoral (particularly if they were sexual outside of marriage), were frequently found unworthy of aid. Gradually American reformers hoped to move those they considered the “undeserving poor” into almshouses or poorhouses, if they gave them any help at all. Aid for those who received help at home was called “outdoor relief,” as you did not have to give up your home and independence to move into an institution, which was called “indoor relief.” Settlement was extremely hard for poor people to achieve. Particularly after the great immigration of the mid-nineteenth century, many states raised the number of years a person had to live and pay taxes in one town to as high as seven years to qualify for residence. Women, who were not seen as citizens, could gain settlement only if their husbands or fathers had this record of settlement. Of course, no recent immigrant could achieve such settlement, so they were often denied aid by the Overseers of the Poor, and if they got aid at all, it would be in a poorhouse. 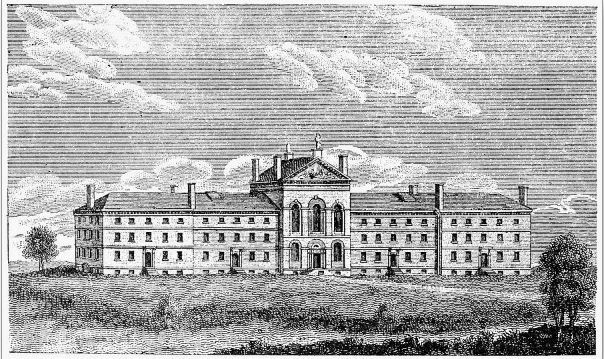 As David Rothman (1971) has well documented, the reformers of the Jacksonian period dreamed of a “utopian world” in which almshouses — as well as the mental asylum, prison or penitentiary and orphanage — were positive institutions which would “reform” the characters of people who were poor or deviant and which would serve as a model for citizens who were not incarcerated. Today experts generally do not believe institutions provide rehabilitation, but for many decades Americans, at least of higher classes, seemed to believe they did. As many another woman that’s only half as old. . .
What is the use of heapin’ on me a pauper’s shame? Am I lazy or crazy? Am I blind or lame? Over the hill to the poorhouse—my child’rn dear, goodbye! Despite the horror that poorhouses conjured, the ingenuity of the poor and disabled and their resilience often undermined reformers’ plans. Shortly after the Civil War, because of the 14th Amendment to the U.S. Constitution against “involuntary servitude,” poorhouses became technically “voluntary,” like today’s homeless shelters. You could not be forced physically to remain there. 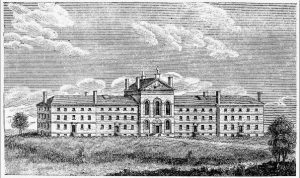 Some people who were convicted of drinking or loitering could still be forced into an institution, but by the late nineteenth century, these were usually workhouses or houses of correction. The ambiguity of an institution once coercive but later voluntary led to interesting stories. A famous story by Sarah Orne Jewett describes a small Maine almshouse where elderly people came by choice each winter to avoid paying their heating bills and to have comradeship (Jewett, 1956). My own research found that well into the mid-twentieth century, officials in many towns and cities complained that men and women came in and out at will and gave not the least respect to their betters. New Hampshire counties had “county homes” (still another name for the poorhouses) into the 1960s. I interviewed people who also went seasonally into these homes for companionship (Wagner, 2005). In some ways, the story of the Tewksbury Almshouse differs from local almshouses due to its size and state sponsorship. (Rhode Island was the only other state to erect state almshouses.) However, generally speaking, we need to keep in mind both the terror and stigma of the “House” and the fact that the inmates (as they were called in some areas until the 1960s) did routinely use the poorhouses for their own ends. Carlton, W., “Over the Hill to the Poorhouse,” Farm Ballads. New York: Harper and Brothers, 1882. 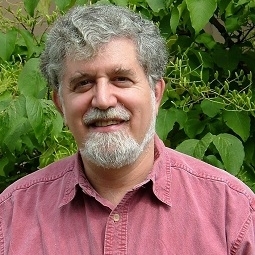 Rothman, D., The Discovery of the Asylum. Boston: Little, Brown, 1971. This entry was posted in History, Poverty, United States. Bookmark the permalink.